Our Local Entries Won Excellence, Distinguished, and Best of Show! 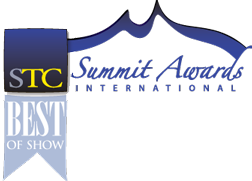 We are proud to announce that two of the entries that won Excellence or Distinguished awards in our annual STC Washington, DC-Baltimore (WDCB) Chapter Summit Competition won awards from STC's International Summit Awards (ISA). 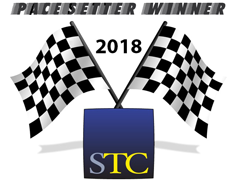 The LogiAnalytics Developer Network Website entry, submitted by Logi Analytics, Inc., won an Award of Excellence in the 2014 STC International Summit Awards (ISA) competition. The entry previously won an Award of Distinction and the Best of Show award for online media in the local Washington, DC-Baltimore Chapter competition earlier this year. Contributors included Lee Hausman and Jim Mouser. The LogiAnalytics Developer Network Website provides information that helps customers succeed when using Logi Analytics products. The website includes a mechanism for managing product licenses, a forum-based community where users can discuss issues and techniques with developers, and access to a support portal. You can view the site at https://devnet.logianalytics.com/rdPage.aspx?rdReport=Default&rdRnd=92076. The Research Priorities for Tropical Ecosystems Under Climate Change entry, submitted by the Oak Ridge National Laboratory (ORNL), received an Award of Distinction and also Best of Show in the 2014 STC International Summit Awards (ISA) competition. The entry won an Award of Distinction and the Best of Show award for printed media in the local Washington, DC-Baltimore Chapter competition earlier this year. The entry was submitted by Judy Wyrick of Oak Ridge National Laboratory and the contributors included Jeffrey Chambers, Richard Norby, Biological and Environmental Research Information System; Holly Haun, Kris Christen, Creative Media; Daniel Stover, Office of Biological and Environmental Research; Rosie Fisher, National Center for Atmospheric Research; Jefferson Hall, Smithsonian Tropical Research Institute; Steven Wofsy, Harvard; DOE Office of Biological and Environmental Research; and the Research Priorities for Tropical Ecosystems Writing Team. This report represents discussions and findings of a June 2012 workshop, during which attendees identified critical scientific gaps that limit the ability to model tropical ecosystems and demand immediate field investigations because of their vulnerability to rapid shifts resulting from a changing climate. We got late notice about five more winners. Please see the list at More Local Competition Winners Win International Summit Competition Awards. Winners of our local competitions are entitled to display the appropriate STC WDCB Competition Award Ribbons. Download the ribbons to promote your award. 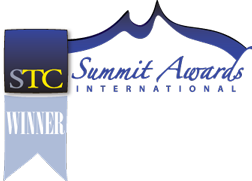 Winners of our WDCB Chapter Technical Summit competition awards may freely duplicate our chapter award ribbons in resumes or company publications, and on websites or copies of the winning piece. Download the international ribbons to promote your award. 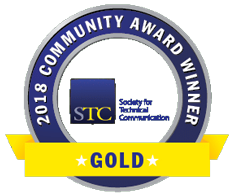 Winners of the international level competition may use the STC international award ribbons in resumes or company publications, on websites, or on reproductions of the winning piece.